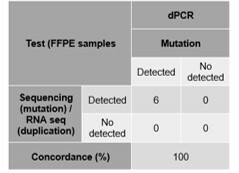 The IDH3F3A kit is a ready-to-use multiplex systemthat allows for each sample to detect and quantify the K27M*, G34R* and G34V*mutations of H3F3A (H3 histone family member 3A) in a single digital PCR reaction for the classification of brain tumours. Molecular alterations of the H3F3A gene appear in many cancers, including brain cancers. These mutations cause a deregulation of DNA methylation. The most common mutations include single nucleotide polymorphisms K27M (high prevalence in young adults), G34R and G34V (high prevalence in adults). 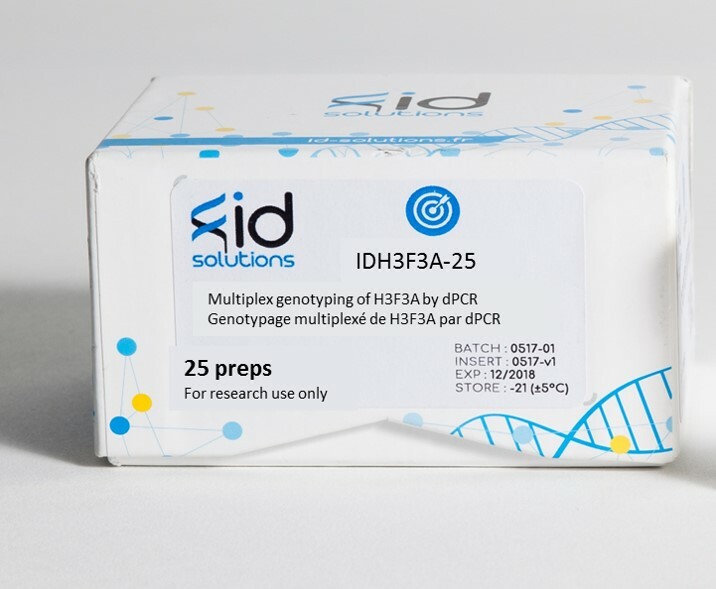 This kit can be used on circulating DNA and DNA isolated from formaldehyde-fixed and paraffin-embedded tissues (FFPE). This kit can be sold included in the IDPCTC panel. 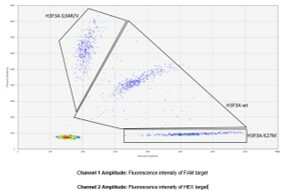 The IDH3F3A kit has been validated for the detection of K27M, G34R and G34V mutations present on FFPE extracted DNA in comparison with NGS.